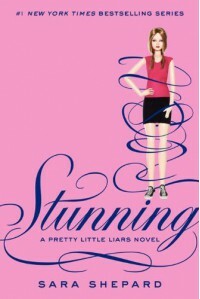 The eleventh instalment of Pretty Little Liars was just as predictable as the last ten books. The girls do/see something they think is bad (whether it actually is or not). Then they spend half the book trying to either 'solve' the problem or avoid it. Being followed and taunted by A. They then set their sights on someone 'suspicious' as A, who ends up not really being S. But in the end they get away with what they did and still end up with the boys. Ah. I'm getting really tired of this series.